Now that you’ve answered the biggest life-changing question with a ‘Yes’, the immediate question that follows once you’re engaged is where is the wedding? Any and every one that you reveal the big news to is definitely going to bounce back with that question. Are you prepared with your answer? For couples living in Bangalore (popularly known ‘the Garden city’ or ‘Silicon Valley of India’) scouting banquet halls in JP Nagar, we’ve picked some popular marriage halls and share with you, details we bet you didn’t know. Regarded as a major residential colony in South Bangalore and proximity to prime residential areas such as Jayanagar, Banashankari, Bannerghatta Road and BTM Layout, JP Nagar is one of the most sought after wedding location for bridal couples. 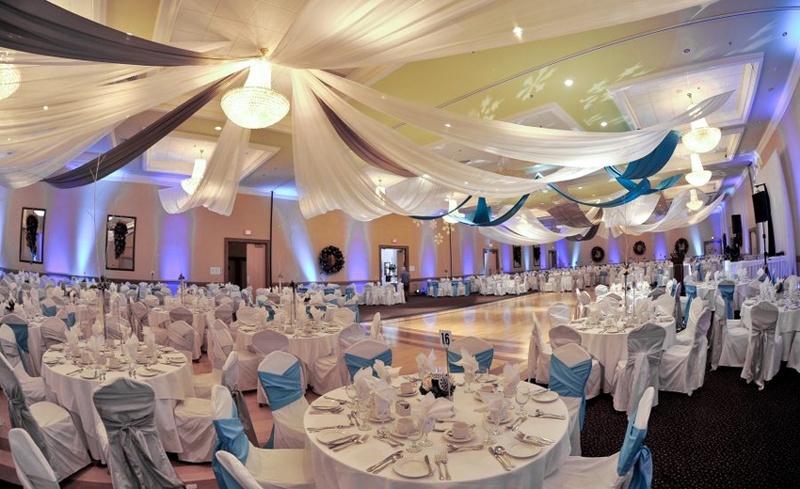 Here are our top 5 picks, read on further to find out why these banquet halls are the preferred choice for weddings. Often heard of big fat Indian weddings, but if your celebration is a super-giant one then Elaan Convention Centre, one of the largest banquet halls in JP Nagar Bangalore is what you need. Measuring over 40, 000 sq. ft., this humongous banquet hall can house a floating capacity of 4000-5000 guests and has a parking space for about 800 cars. Now, that’s huge! Luxurious interiors and state of art lighting work well to create a dreamy setting, but exquisite weddings demand extravagant decor. Their in-house decorators know what a big deal wedding decorations are to bridal couple. Therefore, if you need elaborate sets or fresh flower décor or if you have a theme in mind, their decorators guarantee to do a fab job. You can book your own caterer, DJ and arrange for alcohol, as the venue does not offer these services. If you’re having a big fat Indian wedding with not as large as 5000 guests attending your D-Day, say about 1000+, look no further than MLR Convention Centre. One of the lavish AC banquet halls in JP Nagar Bangalore provides a huge event space featuring contemporary interiors that create a stylish ambiance. The venue is equipped with professional audio system making it an ideal destination to host an extravagant sangeet ceremony. Along with state-of-the-art facilities, the venue also provides world-class services that leave a lasting impression. The venue gives you complete freedom to book your own caterer, decorator and DJ. Though, alcohol is not permitted at the venue. For brides and grooms who like to keep their celebration intimate and elegant, Quality Inn - one of the most sought after AC banquet halls in JP Nagar Bangalore is your ideal wedding destination. Offering a luxurious space with gorgeous interiors and expert events team rendering exclusive service, there is no better venue to host a medium- sized gathering. Also, what makes this a one-stop-wedding destination is that the venue offers all wedding services under one roof. From catering, decorations to music, they’ve got you covered. One of the most versatile and high-end banquet halls in JP Nagar Bangalore is the Ambient Turret. For weddings that require a large banqueting space and specialized service on a budget, this marriage hall in Bangalore is all that you want. Impressive interiors and architecture is another plus point of this venue. Their catering team is at your service preparing delicious multi-cuisines and setting up personalized buffet counters. You can sit down with them to plan a customized menu. The venue does not provide decoration and music service. Therefore, allows you to make your own arrangements. Looking for a spacious, airy and bright banquet hall in JP Nagar Bangalore for a day wedding? Offering a unique concept of twin open halls with a centre stage landscaped water body this venue is perfect for couple who are seeking an unconventional marriage hall in Bangalore to celebrate their union. With articulately done interiors, minimal decor is all you more than enough to dress the venue for the occasion. You can make your arrangements for decoration and catering. Know more about such amazing banquet halls in JP Nagar Bangalore here. To browse and book wedding hotels, 5 star wedding venues, wedding lawns, AC banquet halls, party halls or marriage halls in Bangalore, click here.